Martha Minow is stepping down as dean of Harvard Law School at the end of the academic year, the school announved Tuesday. She will remain as a member of the faculty. Harvard Law School dean Martha Minow will step down at the end of the academic year, the school announced Tuesday. Minow has served as dean since 2008, well beyond the five-year tenure she had initially planned, said law school spokesman Robb London. After a strong year of fund-raising and admissions, Minow thought the time was right to turn over the reins, he said. Minow, who joined the school in 1981, plans to remain on the faculty and spend more time researching and speaking about issues, including inequality, discrimination, and access to legal services for the poor, London wrote in an e-mail. Minow’s tenure was marked by upheaval in the world of legal education, as diminished job opportunities after the recession spurred a sharp decline in law school applications. “A law school today needs to prepare people to learn — because the world is going to continue to change — to analyze, and also to work collaboratively across different disciplines and domains,” Minow said Tuesday in a phone interview with the Globe. As dean, Minow has added cross-disciplinary programs and clinics in areas such as criminal law and policy, immigration, and the needs of military veterans. She also oversaw an expansion of business-related programs that focused on financial literacy and entrepreneurship, the school said. Over the past year, the campus faced controversy when a group of law students waged a successful campaign to change the school’s logo, which contained elements of former slave-holding family’s coat of arms. In another incident, someone put black tape over photographs of black professors that hang at the school’s Wasserstein Hall. When officials decided to change the symbol, Minow wrote in a letter to the university’s overseers that the law school should not forget its ties to slavery. Minow said she admired how the school tackled the issue and believes it is committed to racial diversity. This year, the school admitted a record number of minority and international students, officials said. 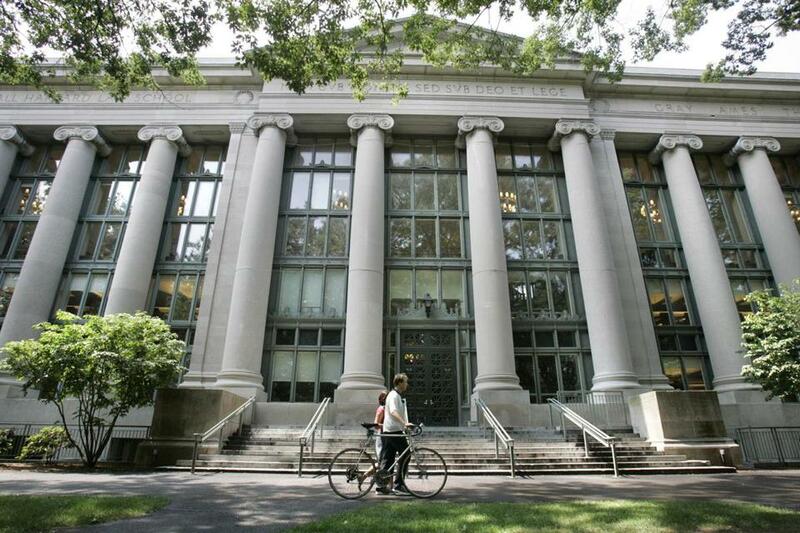 The law school recently surpassed its fund-raising goal of $305 million, according to the Harvard Crimson . A search for a new dean is expected to begin soon, the school said in a press release. “Martha Minow has devoted herself to making Harvard Law School stronger and better, more inclusive, and more intently focused on the quest for fairness, equality, opportunity, and respect for the rule of law,” Harvard President Drew Faust said in a statement.